Fabulous, I’ve never seen anything like this! This is too adorable.... love it ! You’re an outstanding artist... I love your work. Brilliant, stunning and …takes my breathe away. What a handsome creature, I love the detail. 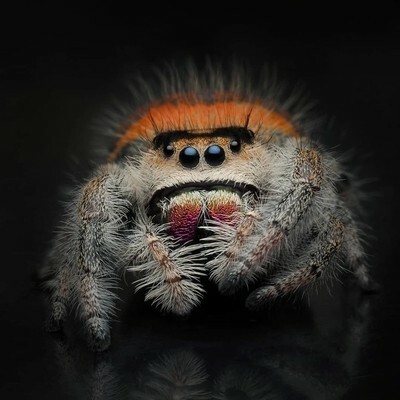 Here is fluffy my phidippus regius jumping spider.